Well guys… I hate to tell you this buuuut… I think you need this one! Let me just say that these colors are easily duped but the formula is astounding. Let’s start with the two complaints that seem to be common: price and packaging. The packaging isn’t my favorite. 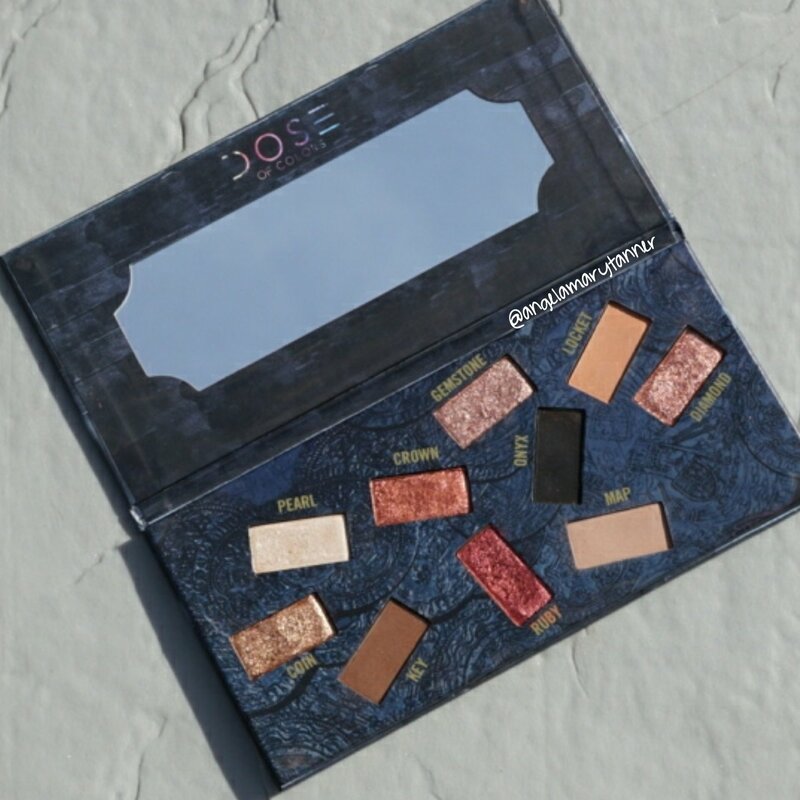 It’s your basic cardboard palette in a sleeve with a mirror, which is fine. The problem is all negative space they’ve created by scattering the pans around. It’s a bit of design flaw, IMO but it’s still compact so not a deal breaker. The other problem with all that empty space is that it makes the pans look tiny in comparison, making people question the $50 price tag. But actually you’re getting a good amount of product. The total weight is .93oz, each pan is .093oz. A standard eyeshadow is .05 so these are almost double the size. For comparison: UD naked palettes have .6oz of product (12 pan × .05 each). So you’re getting a good amount of great quality product. Well worth $50 in my book. The foiled shadows are the clear standouts. And they’re miraculous. As you may know, I’m a huge fan of the MUG foiled line. These are on another whole level from MUG. And that’s saying something coming from me. They feel more like pressed pigments than foiled shadows. The pigmentation is just stupid. But alas, there’s a down side. They’re very soft and delicate. If I drop this baby down the stairs, there will be casualties. The shimmer, PEARL, is nice but doesn’t knock my socks off. 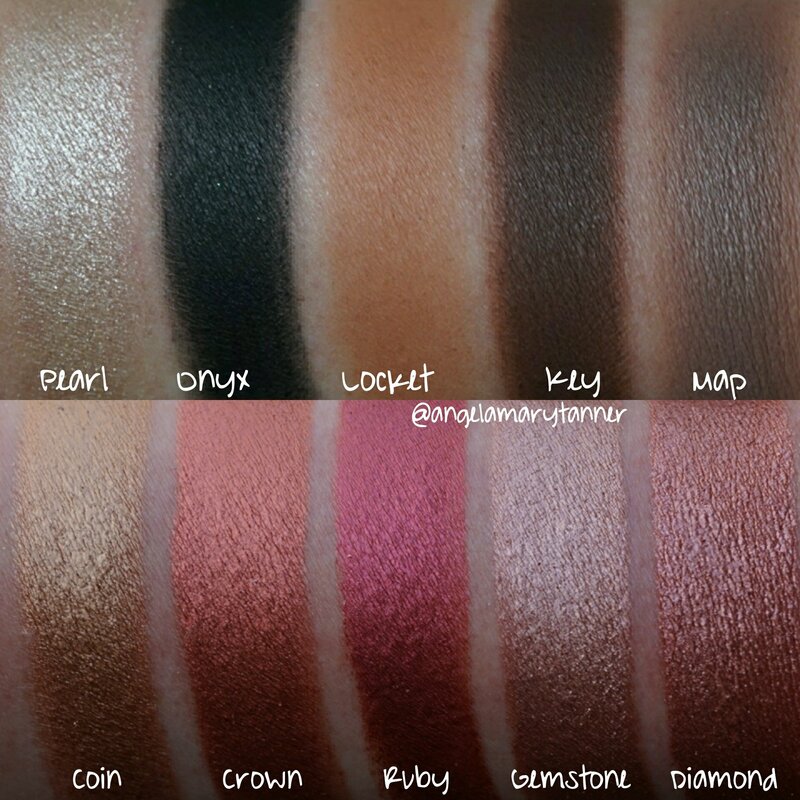 And the mattes are amazing. 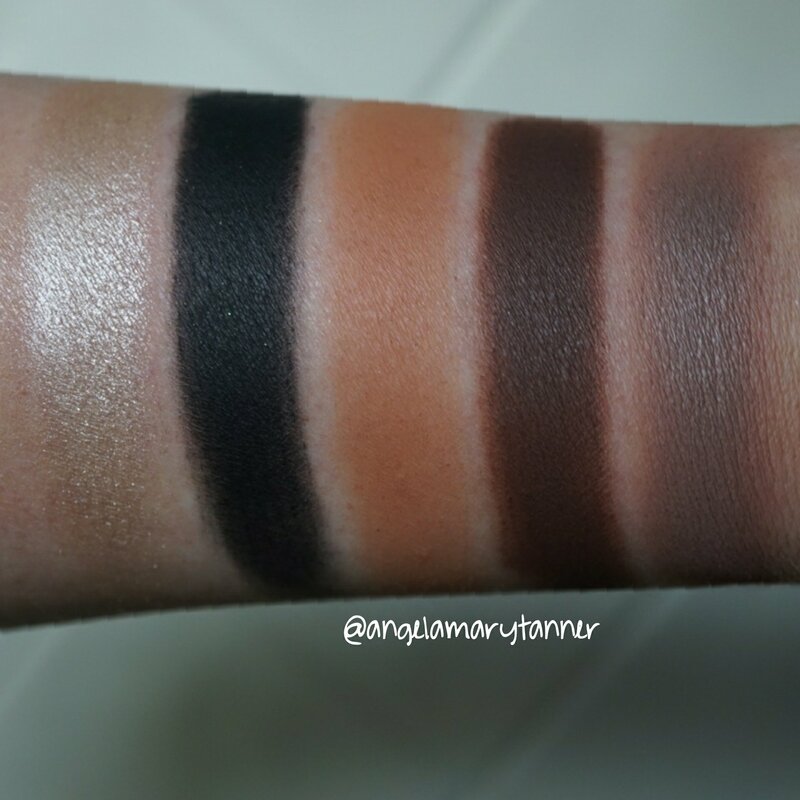 Crazy pigmented and creamy. 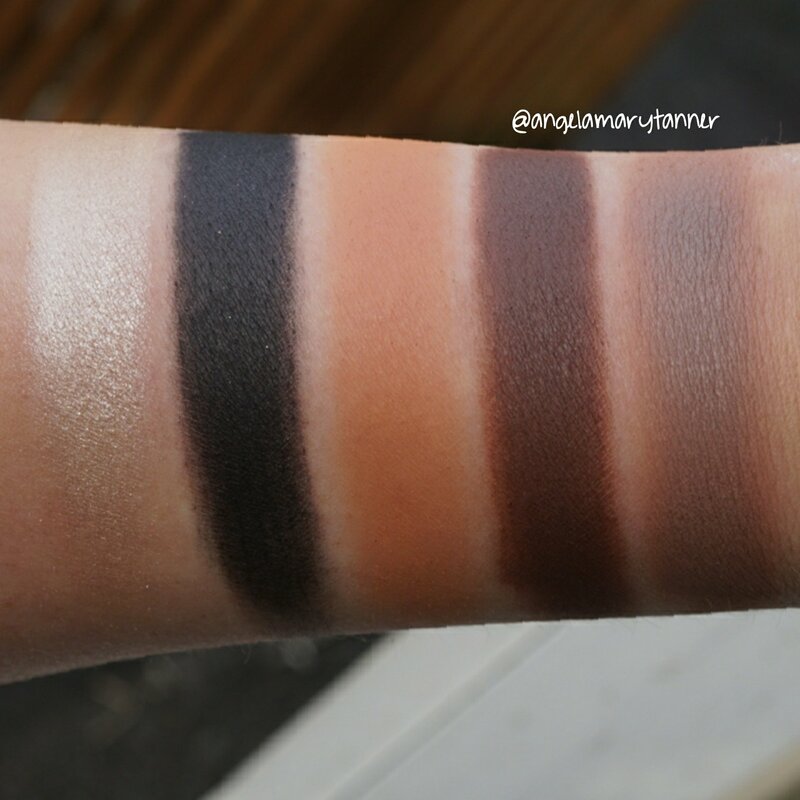 Seriously some of the best I’ve swatched on my page. The colors aren’t groundbreaking but good basic mattes are hard to find. As always when I get new palette, I’m so excited to post swatches that I don’t want to wait until after I’ve used it a few times. I used the palette once, just playing around and I loved it. Everything blends really nicely. I’d go as far to say that you could get away with no using a primer. 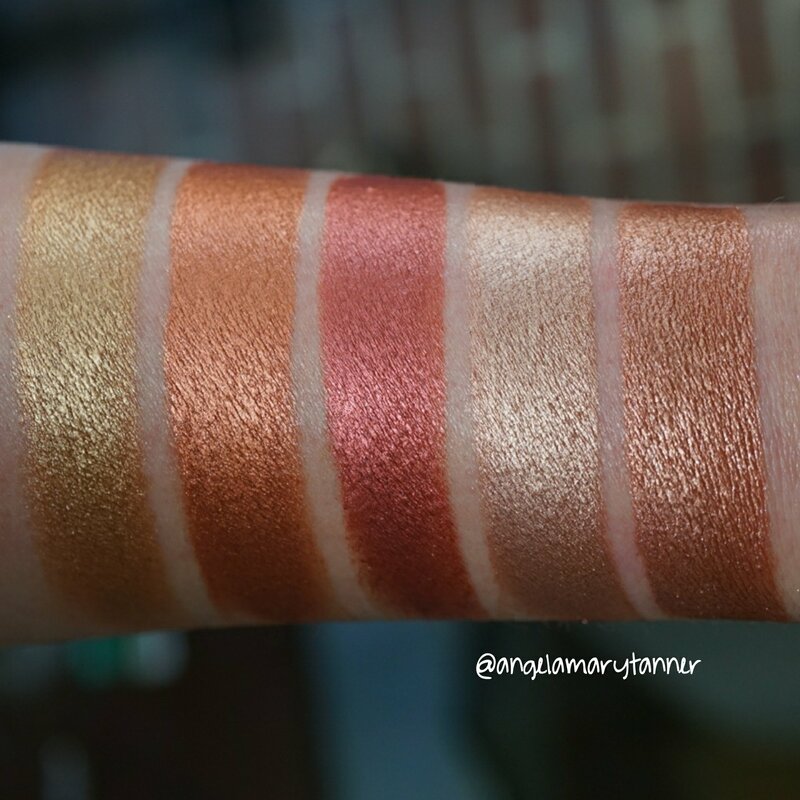 Recap: I adore this palette except for 2 things. The packaging and the softness of the foileds. My thoughts remain the same now. The quality of these eyeshadows is outstanding. DOC’s newer palettes have all been let downs compared to Hidden Treasure. 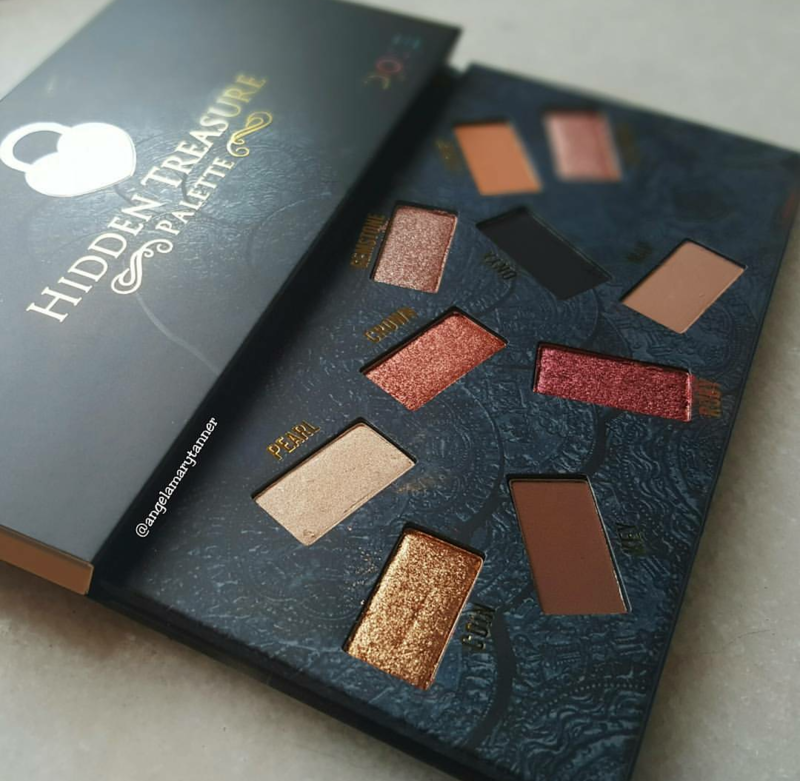 The layout of the palette is stupid but you can see what they going for with the treasure chest vibe. 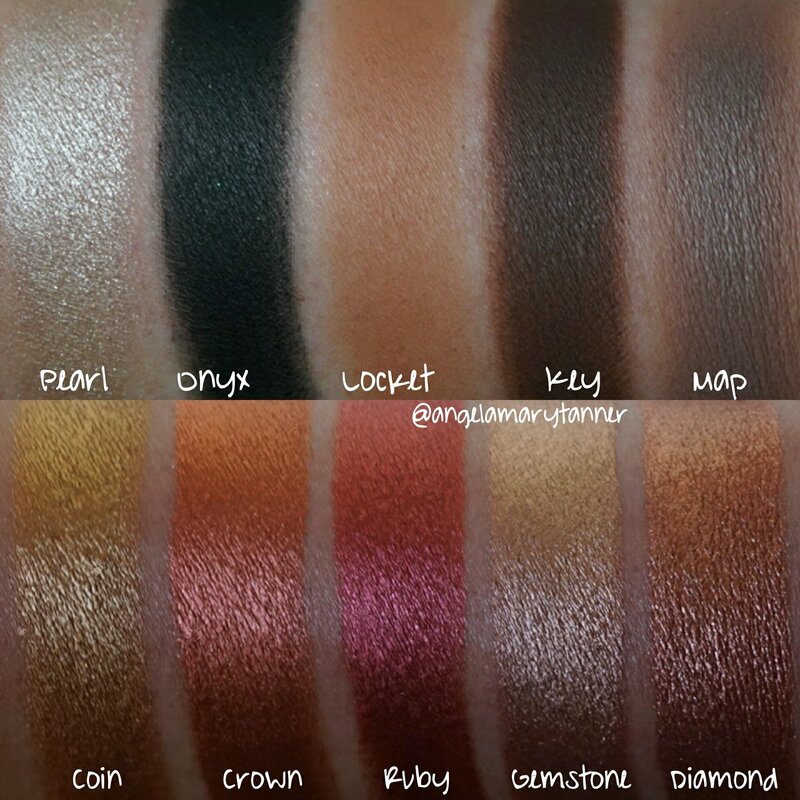 I think all of the colors are easily duped but the formula is so good that it doesn’t matter. Are you going to pick up Hidden Treasure the second time around? ?